Clare's father was a count, her mother the countess Blessed Orsolana. Her father died when the girl was very young. 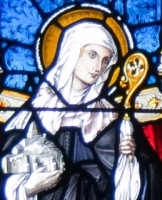 After hearing Saint Francis of Assisi preach in the streets, Clare confided to him her desire to live for God, and the two became close friends. On Palm Sunday in 1212, her bishop presented Clare with a palm, which she apparently took as a sign. With her cousin Pacifica, Clare ran away from her mother's palace during the night to enter religious life. She eventually took the veil from Saint Francis at the Church of Our Lady of the Angels in Assisi, Italy. Clare founded the Order of Poor Ladies (Poor Clares) at San Damiano, and led it for 40 years. Everywhere the Franciscans established themselves throughout Europe, there also went the Poor Clares, depending solely on alms, forced to have complete faith on God to provide through people; this lack of land-based revenues was a new idea at the time. Clare's mother and sisters later joined the order, and there are still thousands of members living lives of silence and prayer. Clare loved music and well-composed sermons. She was humble, merciful, charming, optimistic, chivalrous, and every day she meditated on the Passion of Jesus. She would get up late at night to tuck in her sisters who'd kicked off their blankets. When she learned of the Franciscan martyrs in Morrocco in 1221, she tried to go there to give her own life for God, but was restrained. 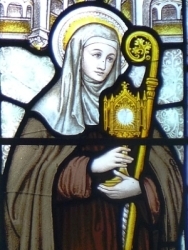 Once when her convent was about to be attacked, she displayed the Sacrament in a monstrace at the convent gates, and prayed before it; the attackers left, the house was saved, and the image of her holding a monstrance became one of her emblems. Her patronage of eyes and against their problems may have developed from her name which has overtones from clearness, brightness, brilliance - like healthy eyes. Toward the end of her life, when she was too ill to attend Mass, an image of the service would display on the wall of her cell; thus her patronage of television. She was ever the close friend and spiritual student of Francis, who apparently led her soul into the light at her death. after death she shines on the whole world! Now in heaven she is a brilliant sun. yet spread itself through the wide world. Little is known of her life, and the information was have was received by private revelation from her. 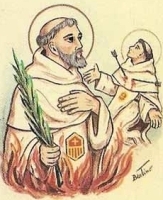 Martyred at about age 14 in the early days of the Church. In 1802 the remains of a young woman were found in the catacomb of Saint Priscilla on the Via Salaria, Rome, Italy. It was covered by stones, the symbols on which indicated that the body was a martyr named Saint Philomena. The bones were exhumed, cataloged, and effectively forgotten since there was so little known about the person. Seventh of eight children born to Jean-Joseph Tornay and Faustina Dossier, and likely named for Saint Maurice of the Theban Legion who had been martyred in the area. He was baptised at 13 days old, made his First Communion at age 7, and during his youth he walked a hour each way each week through the mountain passes to get to church. Raised on a farm, he helped his family work it in his time after school. In his teens, he studied for six years at the school at the Abbey of Saint Maurice where he was an exceptional student with a love of French literature, and where he served as president of his class. Pilgrim to Lourdes, France. Maurice had a special devotion to Saint Thérèse of Lisieux, and would read to class mates from works by Saint Thérèse and Saint Francis de Sales. Member of the Canons Regular of Saint Augustine, Hospitallers of Saint Nicholas and Grand-St-Bernard of Mont Joux, beginning his novitiate on 25 August 1931 and making his first vows on 8 September 1932. His studies and plans to be a missionary were interrupted for surgery and recovery in 1934 due to a stomach ulcer, but he made his solemn vows in 1935, and in 1936 was sent to the mission in Weixi, Yunnan in southwest China on the border of Tibet. There he spent his initial time studying theology, medicine, dentistry, the local language, and praying about his vocation. Ordained a priest in Hanoi (in modern Vietnam) on 24 April 1938. In the summer of 1938 he was tasked with founding and supervising the Houa-Lo-Pa seminary for local students; he also taught and worked on spiritual formation. He claimed that the largest hurdle to overcome in all this work was his own laziness. When the Japanese invaded the region in 1939, some of the work had to be scaled back, and Father Maurice was forced to beg for food for his seminarians. In 1945 he was named pastor of the Yerkalo mission in Tibet where Dalai Lama Gun-Akhio ruled. The Lama hated Christian missionaries, helped instigate anti-Christian persecutions, and Maurice withdrew to China in hopes of convincing the Buddhists to reduce the pressure on Tibetan Christians. In addition to ministering to converts and the sick, and praying for a way to resume his mission, Maurice asked the Apostolic Nuncio and Chinese government to intervene with Gun-Akhio, but diplomacy failed. In July 1949 he planned to travel to Lhasa to plead with the Dalai Lama for religious freedom for Christians, but some Tibetan guards ambushed and shot him; the guards later received a cash reward for this work. Martyr. Well-born, educated, and erudiate 3rd century Greek with philosophical training. Convert to Christianity. To escape his pagan roots and live for God, he left his native area and became a charcoal burner at Comana, Pontus, Asia Minor (in modern Turkey). Noted for being exceptionally ragged and filthy. When Saint Gregory Thaumaturgus oversaw a council of laymen and religious to pick a bishop for Comana, he told them to ignore outward appearance, and choose the most spiritual person among them. Alexander, dressed in his work rags, and covered in soot and dirt, was dragged forward, apparently as a joke. He tried to play dumb, but when Gregory ordered him to be honest, he admitted his education, his study of the Scriptures, and his life of living as a "fool for Christ." Scrubbed and robed, the council questioned him, recognized his spiritual wisdom, and chose him as their bishop. Well-loved by his people, Alexander died a martyr in the persecutions of Diocletian. But God looks at the soul and the heart. The fire of faith and the cry of repentance. Than the blackened heart of a sinner. For laughter, to the gullible world, he was. A royal soul in decayed rags. For the benefit and salvation of men. All is wonderful, what God judges. Lifelong layman in the archdiocese of Valencia, Spain, baptized at the age of one day. Member of Youth Catholic Action at age 14; he eventually served as president of the local chapters. An excellent catechist, he established several “catechist centers” where he would teach each Sunday, travelling by foot or bicycle to one after the other throughout the day; he was roundly heckled and abused by people on his way as there was growing anti–Christian sentiment in the area. One night he had to resort to violence to protect his parish priest and spiritual director from a mob; this led to organizing faithful members of Catholic Action to patrol churches and convents, and Carlos himself was only just in time to rescue consecrated hosts from a church that was being looted. He was devoted to daily Mass, a daily morning Rosary, and developed a minstry to the poor. Married to Louisa Tomo Perseguar on 3 November 1934 at the parish church of Santa Maria Ontinyet; they had one daughter. Arrested at dawn on 4 August 1936 in the persecutions of the Spanish Civil War for the crime of being an active Christian. Martyr. Son of Gaudentius and Austadiola. Pious youth. Ordained as a deacon when he showed he knew all the Psalms by heart. Priest, ordained by Saint Magnericus of Trier. 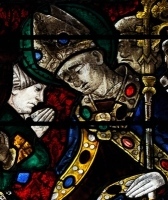 Bishop of the dioceses of Cambrai and of Arras, Gaul for 39 years beginning c.586. He convinced his people to destroy their old pagan idols; when there were only a few left in private hands, he bought them and destroyed them himself. Tirelessly travelled his territory, and spent largely to ransom prisoners. Attended the Council of Paris in 614. Daughter of an Irish noble. Drawn from an early age to a religious vocation, which was opposed by her family. Made her religious vows to Saint Patrick at Coolavin, Ireland. Worked with Patrick for the conversion of Ireland. Anchoress at Drumconnell, County Roscommon. At Killaraght (Cill Attracta) on Lough Gara she founded a hospice that still existed as late as 1539. Founded several churches and convents in County Galway and County Sligo. The convents were known for their care of the sick, and were traditionally built at crossroads so they would available to more travellers. Miracle worker, and noted healer. A healing well with her name survives at Clogher, Monasteraden; it has a reputation for especial powers against warts and rickets. Incredibly popular in her own day and in the Middle Ages when popular (i.e., fantastic) biographies of her circulated. A lifelong layman, Rafael was married to Maria Adelaid Ruiz Glens in 1916; the couple were parents to four daughters. He worked as postmaster in Ontinyent, Valencia, Spain, and served as catechist and youth teacher by night at his parish. Member of the Catholic Legion, Catholic Action, School of Christ, Association of the Sacred Heart of Jesus, and was a Franciscan Tertiary. Arrested for his faith by Communist militia during the Spanish Civil War, he was imprisoned and abused in hopes of getting him to renounce Catholicism; it didn’t work. He was shot on a roadside with Blessed Carlos Diaz and abandoned, but Rafael survived. Friends hid him at a local Capuchin convent, and later died of his wounds. He forgave his killers and insisted that there be no retribution, revenge or feud between his family and theirs. Martyr. Roman noble, the beautiful daughter of Saint Gabinus, and niece of Pope Caius, living in the early part of Diocletian's reign when the last large-scale persecutions were building steam. Having made a private vow of virginity, and not wanting to be part of a family that murdered her family in faith, she refused to marry Maximian, Diocletian's son-in-law. Her piety was such that she converted Claudius and Maximus, relatives and the messengers sent to bring her to Maximian. In revenge, she was exposed as a Christian, beaten, and martyred. 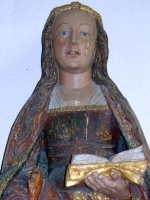 No reliable Acta of her life have survived, but her story has, and she is commemorated in many ancient Martyrologies. A Roman parish and church has borne her name since the fifth century. In 1969 she was dropped from the universal calender of saints, but her memorial is still celebrated in Saint Susanna's basilica in Rome. Studied at Oriel College, Oxford University. Anglican vicar of Saint Mary the Virgin, Oxford, England. Convert to Catholicism. Studied at the Douai College in Rheims, France. Ordained a priest in 1582 at Soissons, France. He then returned to England to minister to covert Catholics during a period of persecution. He was soon arrested for the crime of priesthood, and exiled. When he returned to England he was arrested again, convicted again, and executed. Martyr. Spiritual student of Saint Benedict of Nursia. Benedictine monk. Worked to spread monasticism throughout Italy, bringing many scholars and future saints to the religious life and the Benedictine Order. Abbot of a house in Valeria, Italy. Noted preacher Pope Saint Gregory the Great refers to Equitius in his Dialogues. Born to the nobility and raised in a Christian family. Nun at an early age at an abbey founded by Saint Caesarius of Arles. Abbess in Arles, Provence (in modern France) for almost 60 years. Known for her deep and meditative prayer life, asceticism, and her endless fight to defend the abbey from political pressure. At one point, because of her defiance of civil authorities, she was imprisoned; King Clotaire II recognized her innocence and ordered her released. Dominican priest. Imprisoned on a ship in the harbor of Rochefort, France and left to die during the anti-Catholic persecutions of the French Revolution. One of the Martyrs of the Hulks of Rochefort. Son of Saint Chromatius the Prefect. Martyr. Pope Saint Damasus wrote about him. Evangelist in Milan, Italy. First bishop of Evreux, Normandy (in modern France) c.385. Fought against the pagan customs of the region. Miracle worker. 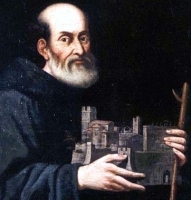 First century bishop of Assisi, Umbria, Italy. Martyr. Mercedarian friar. He and several brother Mercedarians were sent to Africa to ransom Christians held in slavery by Muslims. They were captured by pirates, imprisoned, and eventually martyred. Young woman in 4th-century Todi, Italy who made a private vow of consecration to God. During the persecutions of Diocletian she retreated to the nearby mountains to live as an anchoress. Third-century imperial Roman prefect. Brought to the faith by Saint Tranquillinus. 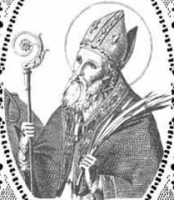 Father of Saint Tiburtius of Rome. Early bishop. Martyred with several Christian companions whose names have not come down to us.